What's this? An application last updated in 2014 that's still better than the first party solution from Microsoft? 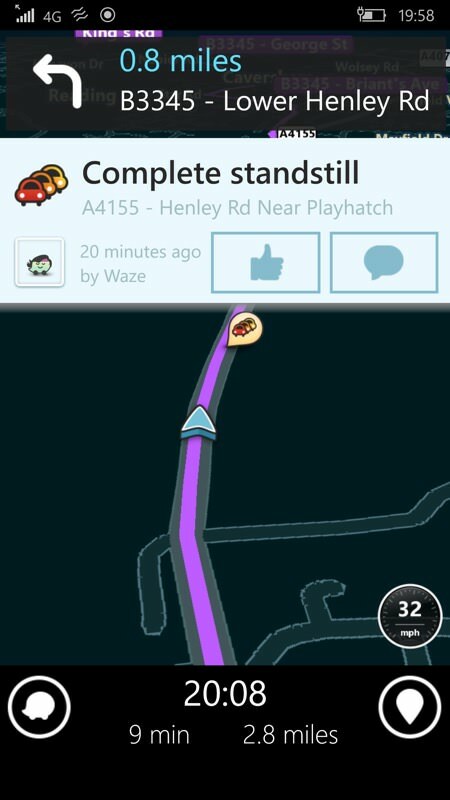 Well, yes, somewhat interestingly, for anyone else who has been frustrated by the limited real time traffic routing in Windows 10 Maps, I was determined to find out how well the old Waze solution worked on the latest W10M Creators Update. Turns out rather well, with only a few caveats. Windows 10 Maps, derived from the codebase for HERE Maps, back on Windows Phone 8.1, uses public traffic data, meaning - as I covered here - that its routing only really integrates traffic on major routes and even then not really in real time. I'd have hoped that Microsoft would have put more effort into building in other data sources, but it seems that most of the upgrades to Maps (UWP) have concentrated around places of interest and general research, with an emphasis perhaps on use on the desktop. It turns out that really good real time traffic navigation depends on human beings, driving around with navigation applications on their phones in cars. Which is kind of a chicken and egg situation, in that Windows 10 Maps isn't brilliant for real time navigation, plus only a fraction of the population (of any country) uses it, meaning that there's just not critical mass of any kind to make the product any better in this regard. In contrast, both Google Maps (on Android, though GMaps Pro hijacks quite a bit of its data on Windows Phone) and Waze (all platforms) have enough real world users in all countries that the automatic speed+position reporting from each phone back to the relevant servers enables pretty good real time navigation. Not perfect (I've been testing all these solutions intensively over the last week), but much better at adapting to a changing traffic environment when you're on the road. Some of the social (Facebook? Pah!) aspects leave me cold and weren't tested here, but what impressive was how much did work. The gold standard for phone-based car navigation is still Google Maps on Android, I maintain, but Waze gets quite close in terms of traffic, and adds niceties like fuel stations and warnings for ad-hoc police speed traps. 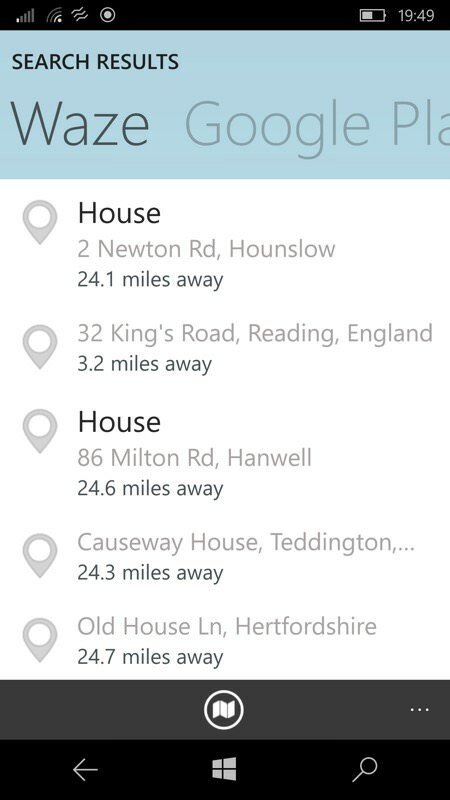 In return, Waze gets access to Google's Maps API for 'Places', and this also proves useful, as you'll again see below. 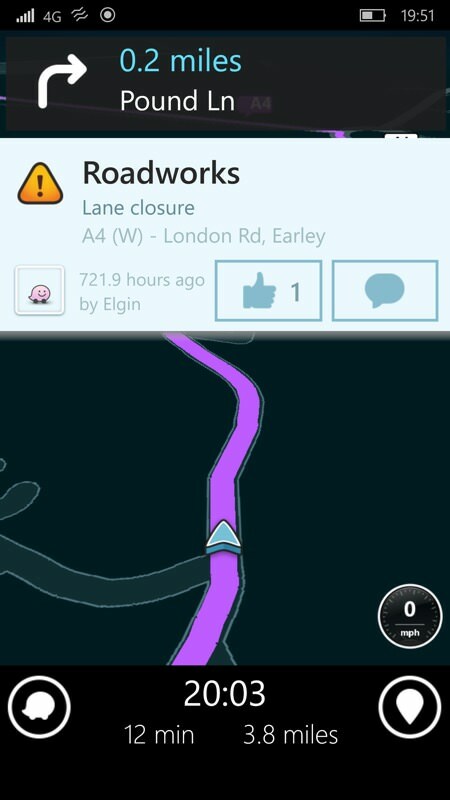 Setting off driving then, with a destination planned (and note that the optional dark mode here works, though not in all forms and panes), Waze pops up useful warnings for the road ahead. Bear in mind that you're still being optimally routed, whether you notice the warnings or confirm or deny their validity - the interaction is all optional. What's evident from the screens above is that the timecode for each item is important - '20 mins ago' for the traffic jam towards Henley sounds very believable (is the Regatta still on? ), but '721.9 hours ago' is a month and I'm pretty certain that these roadworks got cleared ages ago. 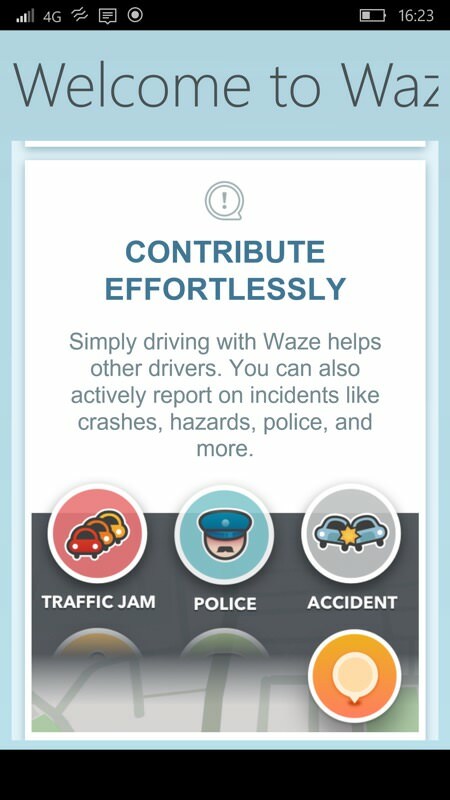 How does Waze remove old incident reports? There's definitely something fishy going on here! Waze's own place database is for towns and roads, principally, so it's great to have a full Google Maps place search just a swipe away. Here I was looking for the 'House of Flavours' restaurant and the latter search picked it up. In either case, just tap on the control to confirm the location on the map. 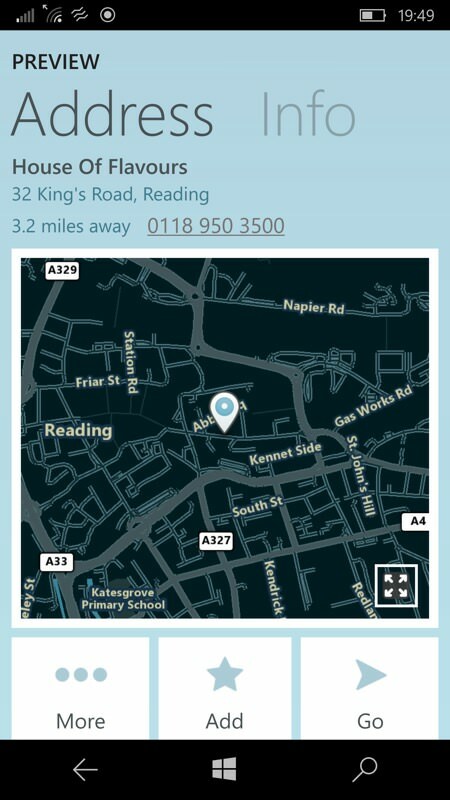 Assuming this location is the one you want, just tap on 'Go' etc. 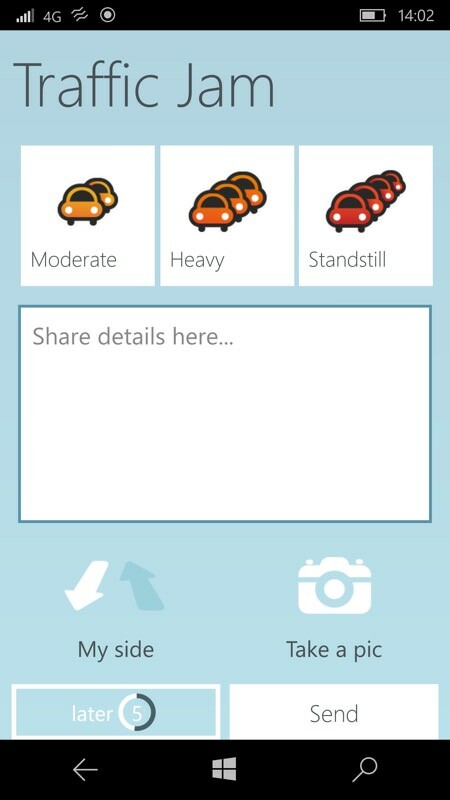 (right) traffic, roadworks and police reports are available on the menu too, sorted by their distance from you. In this case, in late afternoon, I completely believe the traffic reports from around Reading. These have been helpfully tapped in (only two taps) by other Waze users - your general routing is still from the mass of all position/speed information that's been auto-collected. When travelling along a problem road (see the '13mph' tag above), the background of the route shows that's a known problem, though local knowledge also tells me that the right hand lane travels twice as fast as the left, so....(! 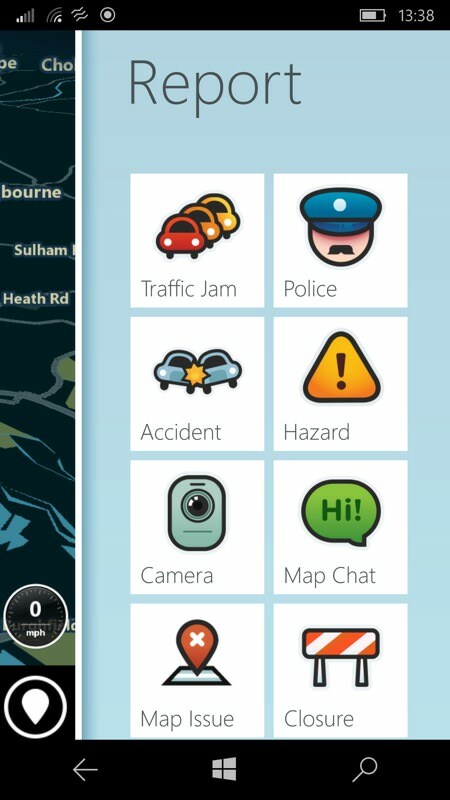 ); (right) if I wanted to join in the Waze reporting fun then tapping on the right hand bottom control pops up the reporting menu and then 'Traffic Jam' here, just tap on the one you want - or just leave the screen up, a timer accepts a general report and the pane goes away. And, obviously, don't start taking photos or typing in comments if you're the driver!! Oh dear, another report that's irrelevant from 4.5 months ago! 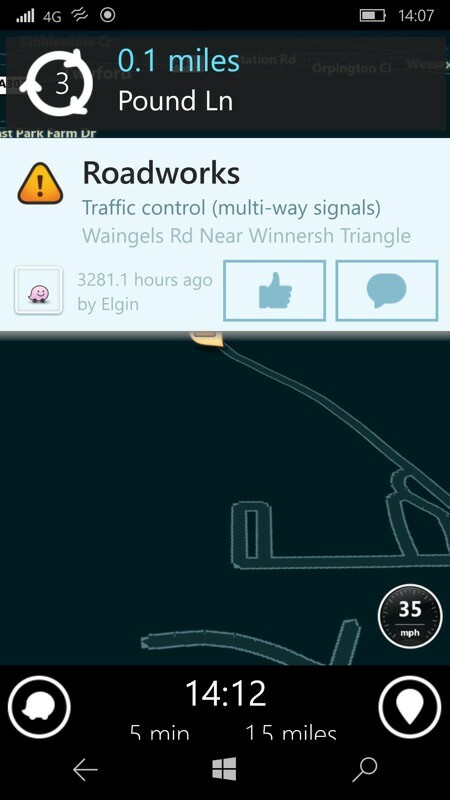 I wonder if Waze on other platforms has the same issues with out of date information? 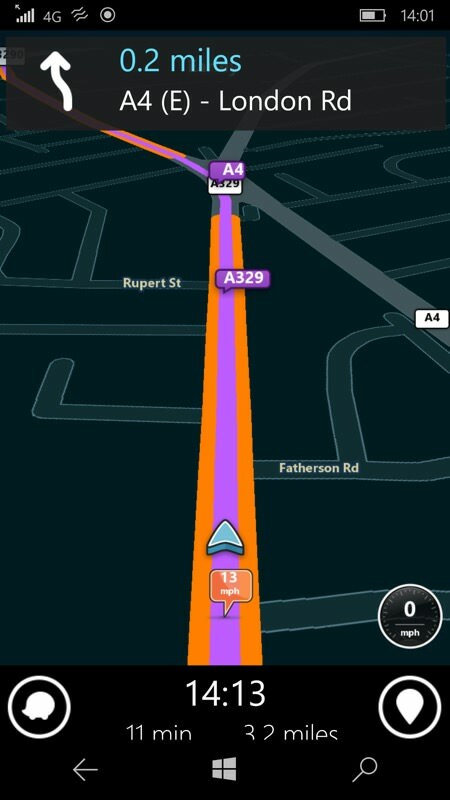 (right) There's plenty of introductory help in Waze, from screens like this to an in-app explanatory video. 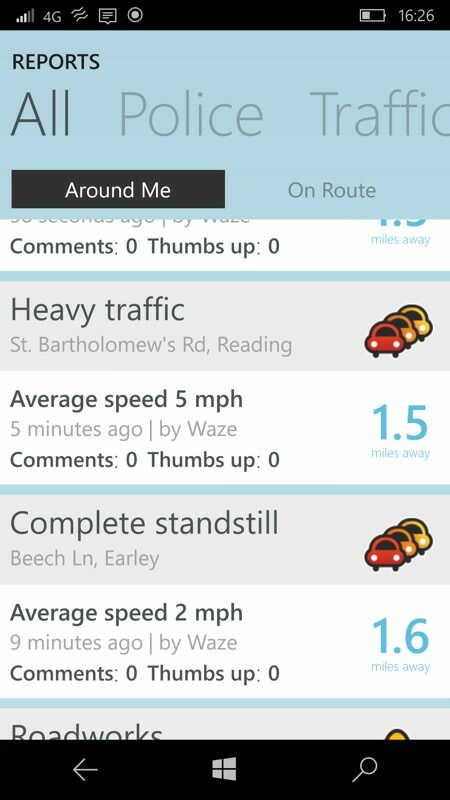 I'd love Waze to come out with a proper Windows 10 UWP version of this, of course. I wonder whether they're listening? PS. 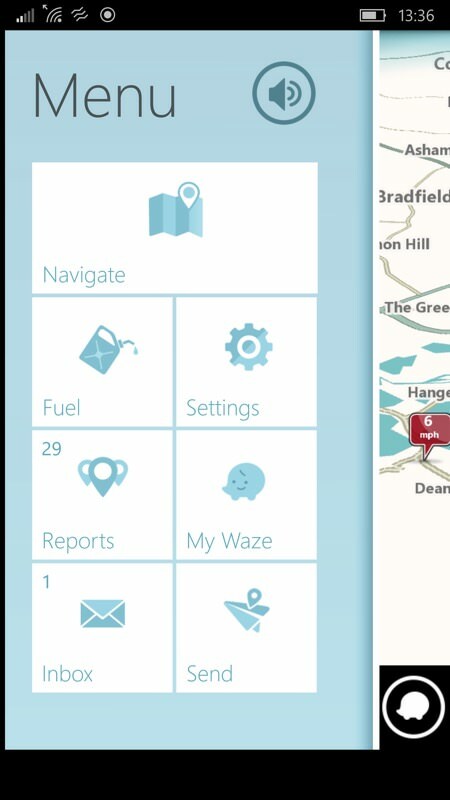 One final note on battery life and power requirements - Waze, like all sat-nav apps is using data, GPS and screen all at the same time, and so the power requirement is high. Best to have your phone plugged into a power source in your car while navigating! You can reduce the requirement a little by switching away from Waze and letting it work in the background (it does this to some degree), but given that there's no voice (for me) under W10M then this foils the point of using the app in the first place! PPS. As some are pointing out, the ultra-commercial Sygic is also available and comprehensive - I'm taking another look at this (I previewed it almost two years ago) and will report back.